← MASSIVE Simchat Torah Celebration @ TAIS with our AMAZING Chazz Israel Nachman and his Singing Friends! Huge Open Bar! Dancing with the Torahs! Motzei Simchat Torah Hakafot Shniyot – LIVE BAND Torah Dance Party on the DECK with Avishai Rosen – Lead Singer in the Army’s Rabbanut Orchestra! Special Guest – Justice Minister Ayelet Shaked! 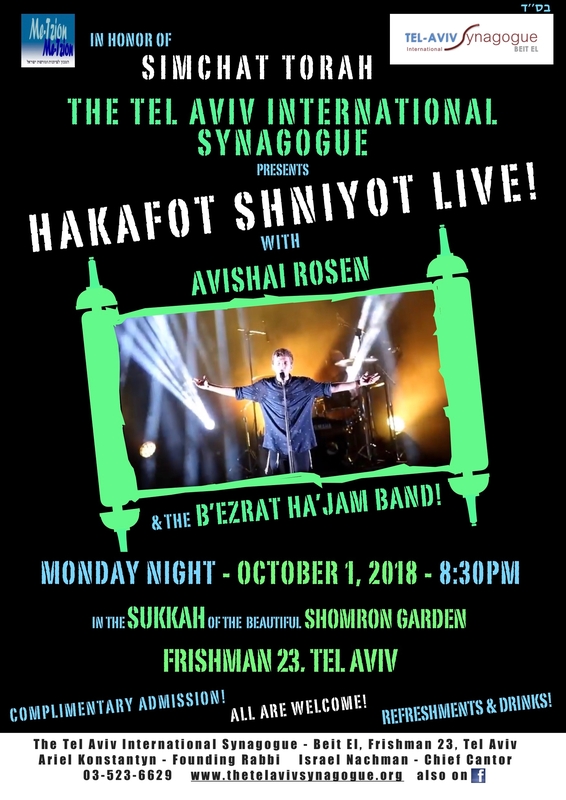 Back by popular demand, we are pleased to present Hakafot Shniyot – a dance party with a live band lead by the talented young star Avishai Rosen! Special Guest – Justice Minister Ayelet Shaked! Avishai was the lead soloist of the Kinderlach Ensemble and today sings in the Rabbanut Army Orchestra. Complimentary Admission! Invite your Friends! This entry was posted in Community, Events, Holidays, Information, Sukkot, Upcoming. Bookmark the permalink.